Is This The Most Amazing Road In The World? The Icefields Parkway, Rocky Mountains, Canada. If not, it must be close! 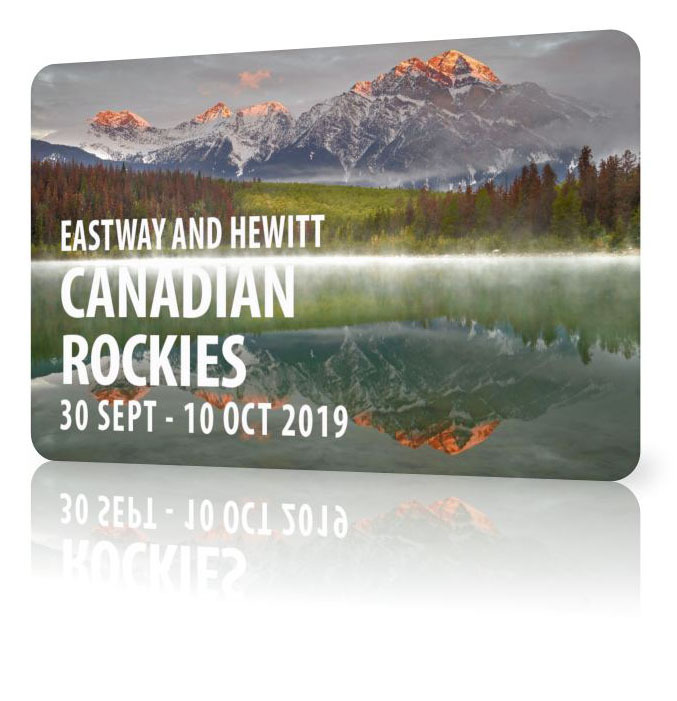 In 2017, Tony Hewitt and Peter Eastway took a Phase One Digital Artist Series workshop through the Rocky Mountains and the Icefields Parkway with the help of David Gaiz and Photo Nomads Travel. They were so impressed they vowed to do it again – and you can join them in September/ October 2019. It’s only a relatively short stretch of road, but the Icefields Parkway between Calgary and Jasper will blow your minds as it weaves in and out of alpine valleys, surrounded by towering peaks and, who knows, we could get fresh snowfalls and some awesome autumn colours! The photo tour includes photography shoots every day, but also offered is classroom time (in the middle of the day when the light’s not so good) for post-production and assistance with the creative side of photography. Not only will you take some of the most amazing landscapes of your life, you’ll learn how to interpret and process them too. You’ll get in touch with your artistic side! Transportation is via a private, temperature controlled, 24-seat mini bus with a dedicated driver. We plan to be up for sunrise and out for sunset whenever possible – and some of the locations are simply breathtaking! This will not be a Phase One PODAS workshop, (although we can organise a Phase One outfit for you to use for a nominal fee, just let us know). The Canadian Rockies Photo Tour is open for all levels of experience (bring your partners too) and with a maximum of 12 photographers, it’s a very high teacher-to-student ratio with plenty of opportunity for learning and improving. There are lots of photo tours around, but how many have two AIPP Grand Masters of Photography to lead and instruct you? So, don’t miss this great opportunity to double your enjoyment – an incredible landscape itinerary and highly experienced photo tour leaders as well.